3. Enter "Cost to redeem"
4. 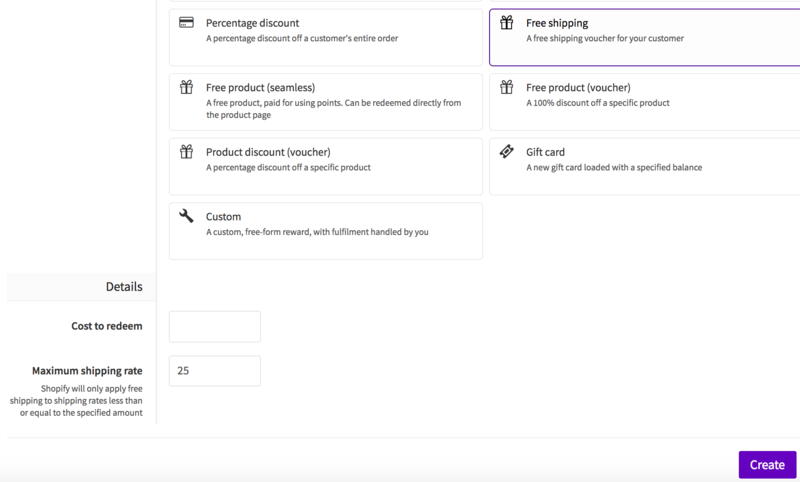 Enter "Maximum Shipping rate"
Shopify will only apply free shipping to shipping rates less than or equal to the specified amount in the 'Maximum Shipping rate" section.